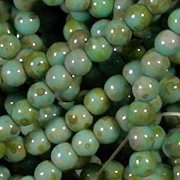 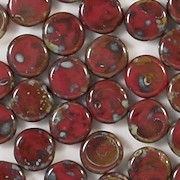 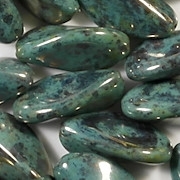 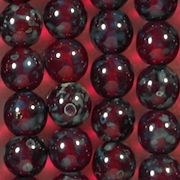 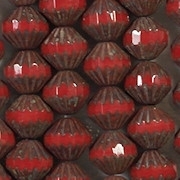 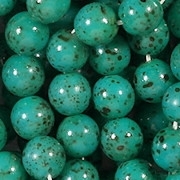 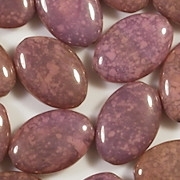 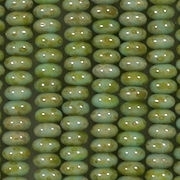 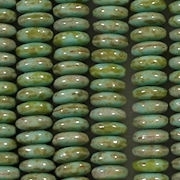 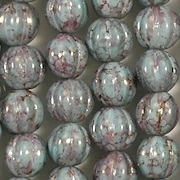 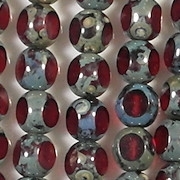 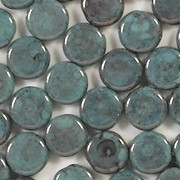 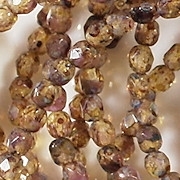 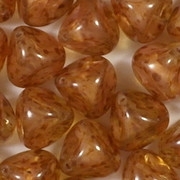 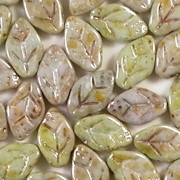 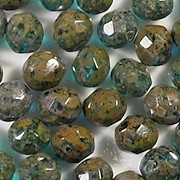 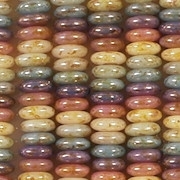 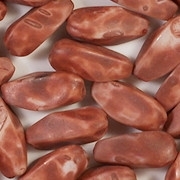 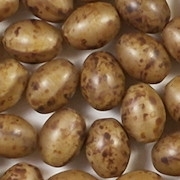 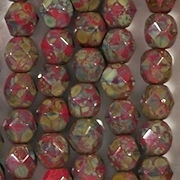 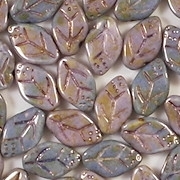 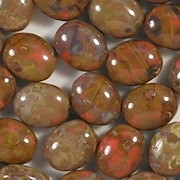 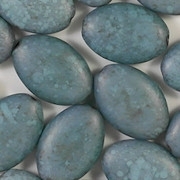 This category includes beads with a mottled appearance. 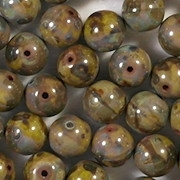 Some beads have a "picasso" coating, whereas others are made of mottled glass. 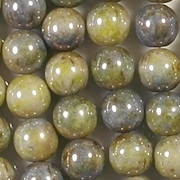 Picasso coatings are usually brown but sometimes green or other colors. 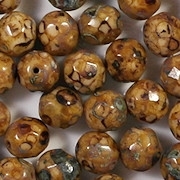 Important: I did not include in this category beads that have only a small amount of picasso coating on them, such as table-cut beads that are coated around the edges only. 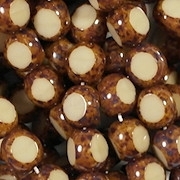 Table-cut beads have their own category. 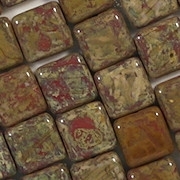 Picasso coatings are generally durable, but they may not be consistently durable from one bead style to the next. 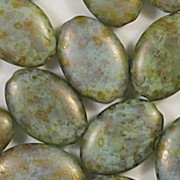 The best picasso coatings are made of silver oxide, which adheres to glass very wellly (similar to how rust adheres to porcelain). 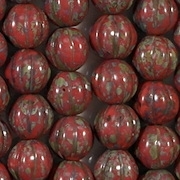 The picasso coatings may be similar to a thin paint, and may not be as durable.